Diving deep with coats of Autumn/Winter 2016 season. The season of coats is officially on. So why not refresh own collection of outerwear pieces? 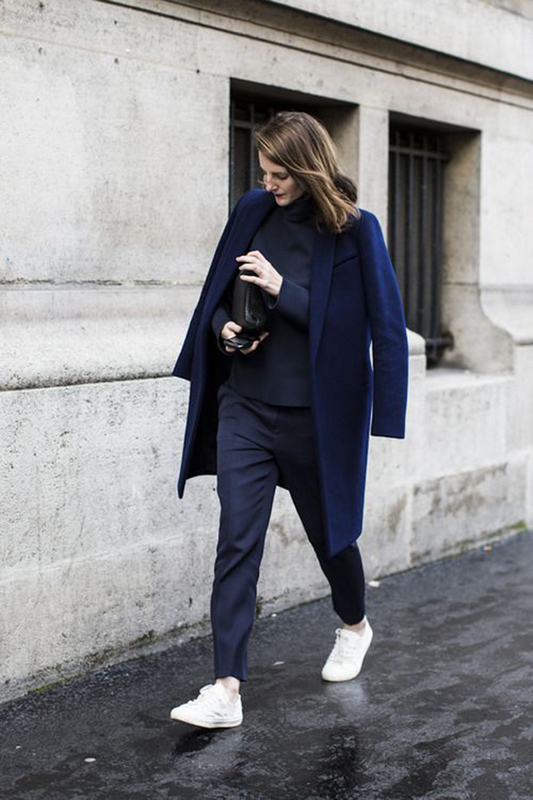 According to various designers and runway shows navy coat is among leading seasonal trends. And we can't help but agree with them, right? Because, first of all, this deep shade of color blue is so much about elegance and intelligence. And because, secondly, a navy blue coat is all about practicality and timelessness. So you will easily be able to transition such a piece from season to season. Speaking of navy coat in more details, it can go both in short and highly long versions. It can also be upgraded with different kind of detailing and/or appliques. And last, but not least, apart from highly minimalist, casual options you can go for navy (read marine or naval forces) or military style. Best runway inspirations take us to Prada, Coach, John Galliano, Tommy Hilfiger and Red Valentino. While best online options of a navy coat are all gathered in PQAP's selection.